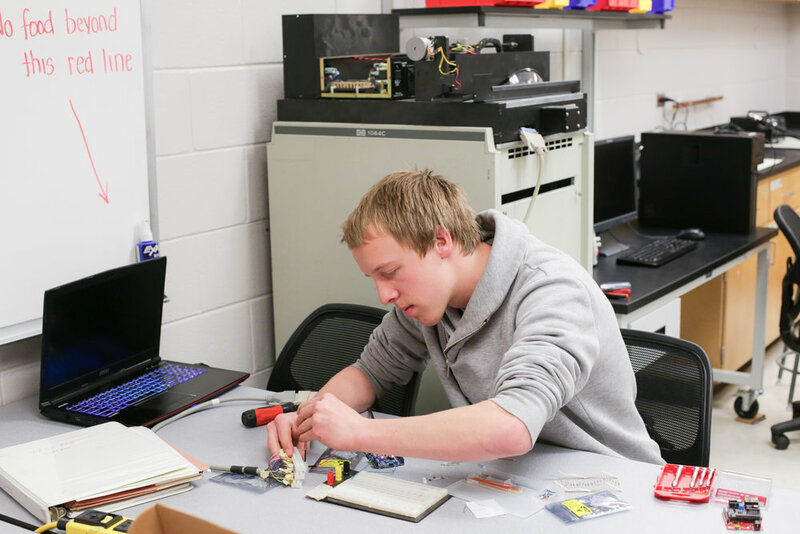 The Outlet is an electronics makerspace created by students. IEEE runs the space. The space contains oscilloscopes, function generators, power supplies, a lot of electronic components, electronic work tables, and computers.